We're thrilled to announce Unglued the first music video from our new album Intimate! Directed by Hirokawa Hayashida and featuring Yeon Hwa Yeo and the band the video was shot in San Francisco. Thank you for supporting us and for another great year! We've gotten a fantastic response for our new album Intimate and we have many exciting things planned for the coming year including remixes and videos! To say thank you, we've recorded a new original holiday song, Winter's Eve that you can download for free. 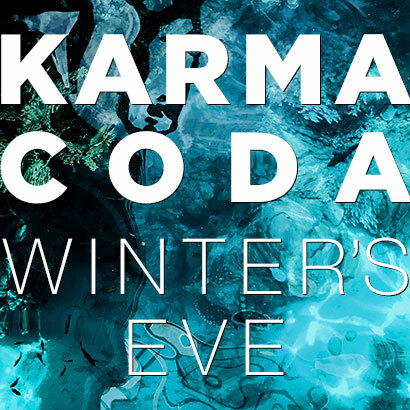 Winter's Eve features the beautiful and angelic vocals of Karmacoda's Jessica Ford on this emotional and moving song. Karmacoda's Eric Matsuno is featured on bass and B. is featured on keys and guitar. Guest musicians and good friends Andy Korn played drums and percussion and Mark Pistel played synths. Please download the song to add to your music collection as an MP3, MP4 or lossless audio track. We are pleased to announced our new full-length album Intimate! Intimate features 12 new songs and it's available everywhere on November 2nd. Intimate features the beautiful and powerful vocals of Jessica Ford who also joins B. in a number of duets on the album. Karmacoda's Eric Matsuno is featured on bass. Guest musicians and good friends Andy Korn are featured on drums and percussion, Mark Pistel plays keys and Paul Johnson guests on guitar. Buy and listen to Intimate at: iTunes, Amazon, CDBaby, Spotify, or wherever you get your music! Thank you for supporting us, it's been a another great year for the band. We've been playing great shows and recording our new album which will be released in 2018. As an expression of our gratitude, and as a gift to you, we've recorded our first original holiday song, When Winter Snows. When we were thinking about our yearly holiday song, we thought that one of the demos for our new album would be a great start to a holiday song. When Winter Snows features the beautiful and powerful vocals of Jessica Ford who joins B. in a duet on this beautiful and vocally moving rendition of the song. Karmacoda's Eric Matsuno is featured on bass. Guest musician and good friend Andy Korn played drums and percussion to compliment B's drum machine work. Thank you for supporting us, it's been a great year with a new member Mark Pistel joining the band as DJ and keyboardist. As an expression of our gratitude, and as a gift to you, we've recorded a cover of a unique winter song and created something truly different from the original, Song for a Winter's Night by Gordon Lightfoot. When we heard it we fell in love with the lyrics of longing and worked up an arrangement in our style. Our version features the beautiful and powerful vocals of our new vocalist Jessica Ford who joins B. on this beautiful and vocally moving rendition of the song. Karmacoda's Eric Matsuno is featured on bass and new member Mark Pistel on beat box and synth. Guest musician John Loose is also featured playing percussion, drums and synth as well. Please download the free song to add to your music collection as an MP3, MP4 or lossless audio track. Announcing our next show, Thursday June 2nd at Harlot in San Francisco. We will be featuring songs from our new release Love and Fate as well as Karmacoda classics. Come join us for a special early evening show of great electronic/triphop/chillout music! Thank you for supporting us this year, it's been a great year with a new album and a new member joining the band. As an expression of our gratitude, and as a gift to you, we've recorded a cover of one of our favorite winter themed songs, Winter Song by Sara Bareilles. Our version features the beautiful vocals of our new vocalist Jessica Ford who joins B. on this beautiful and vocally lush rendition of the song. 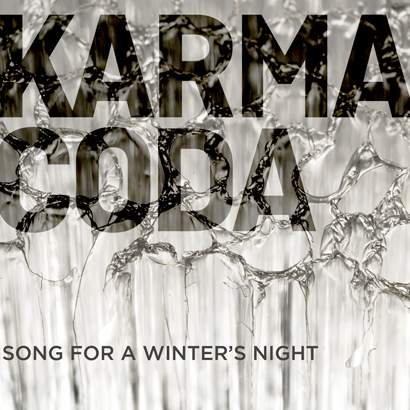 Karmacoda's Eric Matsuno and guest musician John Loose are featured playing acoustic bass and keys, respectively. Check out the new accompanying video below and please download the free song to add to your music collection as an MP3, MP4 or lossless audio track. 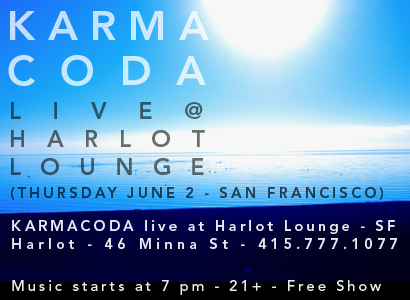 (San Francisco, CA – November 3, 2015) – The San Francisco based Electronica group KARMACODA, featuring vocalist/guitarist Brett (B.) Crockett, bassist Eric Matsuno, and keyboardist Isaac Ho just found the missing piece their lineup has needed. Jessica Ford, a multi-award winning singer/songwriter and powerhouse vocalist is stepping in to fill the recently vacated lead female vocalist role. The band got together with Jessica at their SF Treasure Island studio and after only a single jam session, knew they had found the newest member of KARMACODA. Jessica will be making her on-stage debut with KARMACODA in early 2016 at the bands record release event in San Francisco. “I am so excited to join an established electronica band after a long career in Nashville and a history of singing and writing electronica music. It is completely in my wheelhouse and will completely fulfill me creatively and vocally. Jamming with these guys was an undeniable fit. I am super excited about joining "the family" and I can't wait to play live as well as start writing and creating the next album!”, shares new vocalist Jessica Ford. 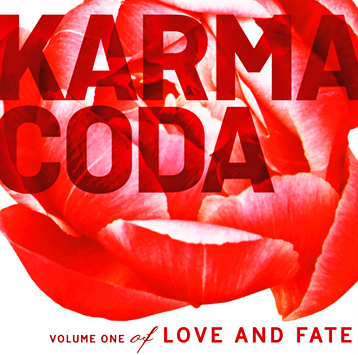 KARMACODA released their 5th full length album, the 10 track, Volume 1 of Love And Fate in March 2015 on the Sola Musa Music label. 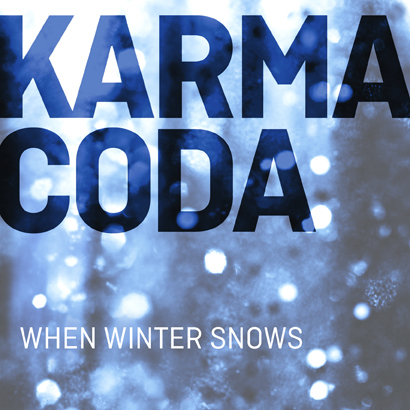 KARMACODA (whose name is an homage to Karmacoma, a song by the British trip-hop collective Massive Attack, and a nod to their impromptu formation (karma) and a description of their loop-based musical style (coda)) will begin writing Volume 2 in early 2016. KARMACODA's discography includes Reco mended (2001), Evidence (2003), Illuminate (2007), Eternal (2011) and Volume 1 of Love And Fate (2015). announcing the all new album - love and fate! When writing Love and Fate it quickly became clear to the band that the songs were falling into two distinct categories: those focusing on love and those addressing deeper topics such as suffering and loss. “We had written over two dozen songs and the two directions of theme and mood became obvious to us” says B. “That was when the concept of two records, related and released separately, focusing on the themes of love and fate came to us.” Thus was born Volume 1 of Love and Fate. Guest vocalist Beth Hirsch, who sings on three of the albums tracks, has this to say about working with the band: "When I listen to B's voice, I see ice carved swans at a champagne brunch with lovers overlooking a pristine California beach & the Pacific Ocean. His voice is one of the richest and most transcending I have ever heard." Vocalist Anji Bee adds this: "B. has firmly asserted himself as the driving creative force behind the band's classic trip hop inspired sound. His smooth, calming vocals grace all 10 tracks on Love and Fate. Love and Fate drops March 10th. Thank you for supporting us this year. As an expression of our gratitude, and as a gift to you, we've recorded a cover of one of our favorite Roxy Music songs, Avalon. Our version of Avalon features the beautiful vocals of Shannon Hurley who joins B. on this beautiful acoustic rendition of the song. Karmacoda's Eric Matsuno and Isaac Ho are featured playing acoustic bass and piano, respectively. Check out the new accompanying lyric video below and please download the free song to add to your music collection as an MP3 or MP4 audio track. 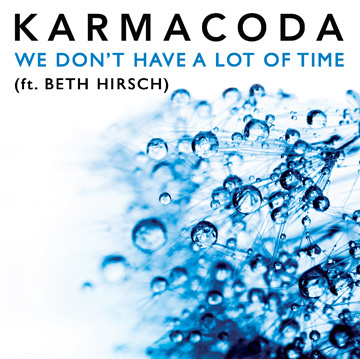 We Don't Have a Lot of Time is the first single from our forthcoming album to be released later this year and features the inimitable vocals of Beth Hirsch who joins B. on this beautiful duet. The single will be available starting October 7th on iTunes, Amazon, CDBaby and many other music outlets. Please visit our MUSIC page to get a preview of the new single! You can also hear the full-length version of We Don't Have a Lot of Time on Anji Bee's Chillcast on Machine.FM on Oct. 3rd. The Chillcast will be reposted Monday Oct. 6th on Mixcloud and is available for free download via iTunes, as well. Enjoy!